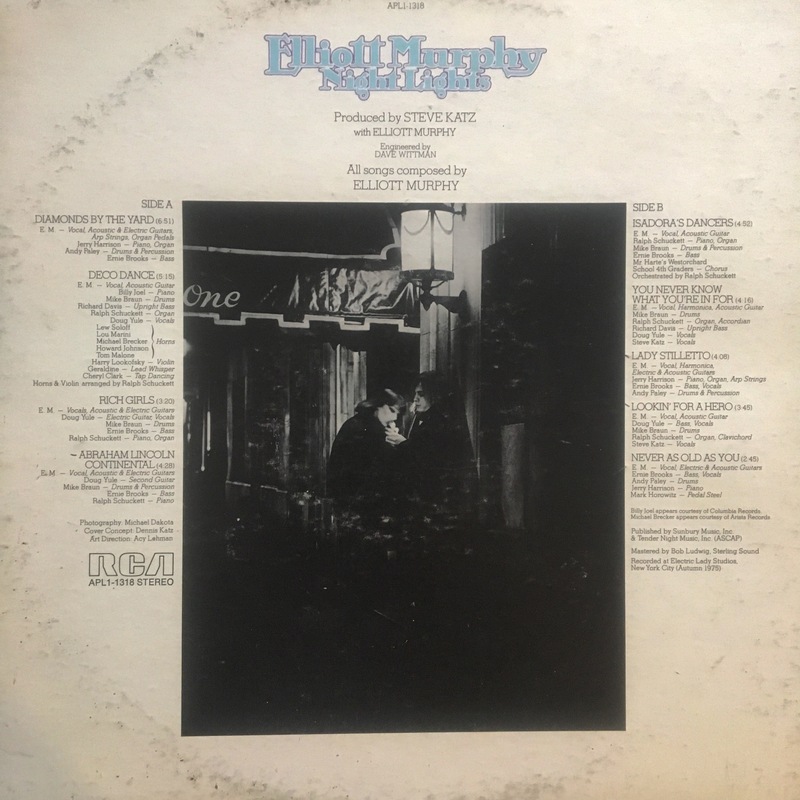 This third long-player by Murphy is produced by Steve Katz (fresh from producing a string of Reed albums) and features Doug Yule (Velvet Underground), Ernie Brooks (Modern Lovers) and Jerry Harrison (Talking Heads), and on one cut a 4th-grade chorus. It sounds very much like the arty side of mid 70s New York–perhaps a bit too much for many listeners–and appears to be heavily influenced by English artists such as Ian Hunter and David Bowie and especially by fellow East Coasters Jonathan Richman and Lou Reed. 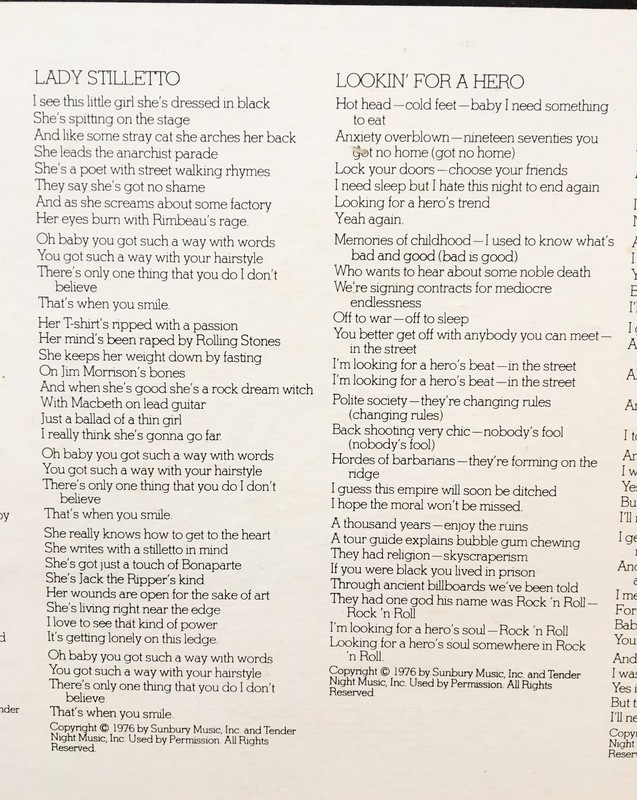 Reportedly Murphy’s earlier albums show more of a Dylan influence, but the imprint still remains here, becoming clear on “Lady Stiletto” (which sounds like it must be about Patti Smith). While this album sounds more arty and urban than the following three artists, you can sense a connection with Neil Young, Bruce Springsteen, and Tom Waits, and Murphy perhaps helps shed some light on a bridge between Dylan and those three artists. It’s easy to see why some were looking at Waits, Springsteen or Murphy as sort of the new Dylan. And these three clearly had more than that in common. Their music was informed by American folk but clearly urban. Each had released two albums that were praised by critics but ignored by the masses, and by 1976, all three had recently recorded a third album. It’s also easy to see why Bruce and Tom eventually found much more success. It’s also easy to see why folks today focus on other music from this specific time and place. While Murphy picks some great influences, so many others from this setting were focused on creating something new–a brand-new sound rising from the corpses of the past. Most bands looked back to pre-Sgt. Pepper 1960s but also looked to create something all their own. And unlike Murphy, most were not introspective and arty. In 1976, the Ramones released their first album, the Dictators had done that the year before, the Talking Heads were getting ready for 1977, Patti Smith was spitting about a “Piss Factory,” Blondie were doing their thing, and bands such as Suicide were clearly taking the past and making something new. Of course, there was much more. Finally in 1976, the parts of the world interested in the underground got a taste of what was going down on the east Coast when both the CBGB and At the Rat compilations were released. While the bands from these albums have been mostly ignored, many were clearly creating a sound that would influence every aspect of punk/independent/underground music. And that music influenced everything else. 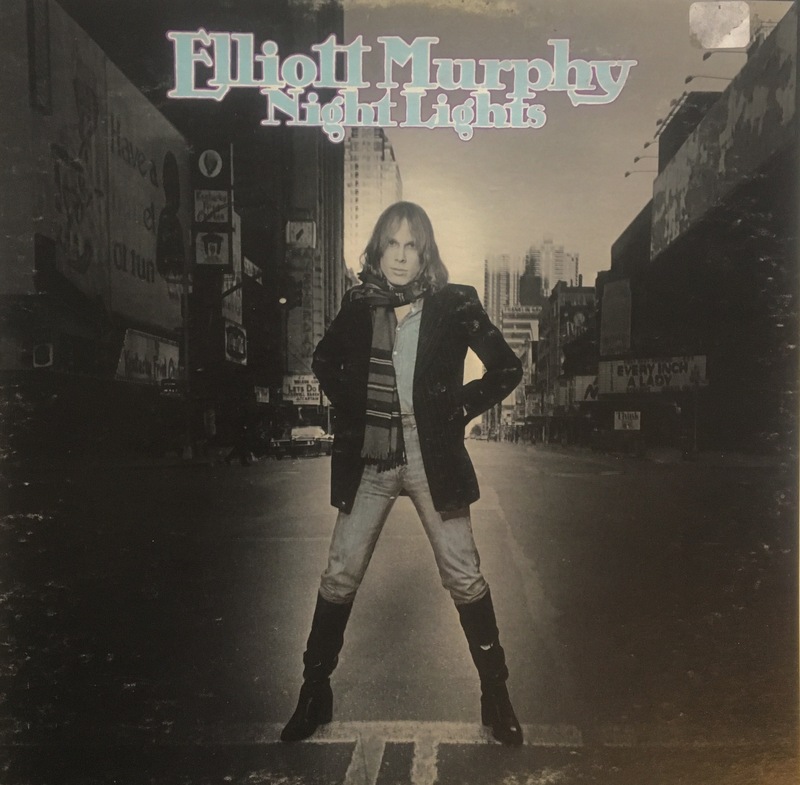 On the other hand, one can’t help but focus more at what was going down elsewhere on the east coast at this time, but his album by Murphy certainly has its moments, even if those moments often sound stolen. You have to appreciate that he doesn’t hide his influences, with for example, vocal elements on “Lookin’ For A Hero” clearly coming from Velvet Underground (who had borrowed those elements themselves). Likely folks will find this set fairly enjoyable or fairly annoying.